We would like to thank all of our customers for yet another great year. 2017 was a great year out on the trails with our customers and we are looking forward to making 2018 just as rewarding. Thanks everyone for yet another fantastic and action filled year! May 2nd-5th: CRUISE MOAB - Don't miss the opportunity to be part of one of the premier Land Cruiser events in the world, guided trail runs, raffle, vendor show and a plethora of Cruiserheads from all over the globe. Pre-registration is required - More information & Registration Here. July 18th-22nd: For the last 12 years, the FJ Summit has brought together Toyota owners from across North America and beyond. 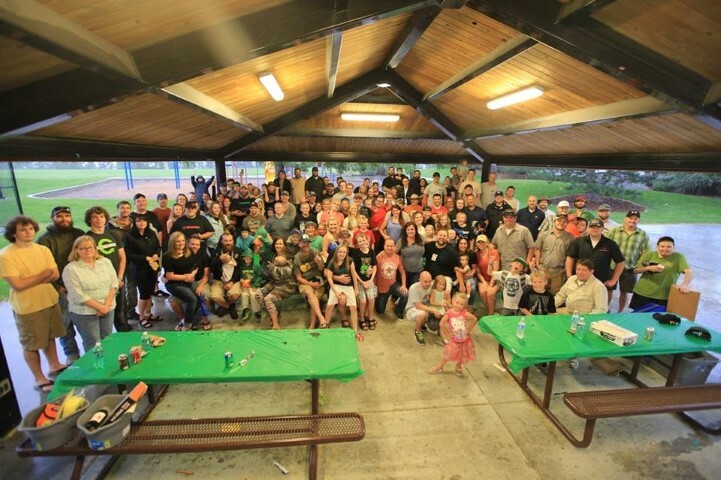 Strangers come together to form an enthusiastic community intent on sharing their love of the vehicle and four-wheeling. While four-wheeling is always an important focus of the event, the FJ Summit was far more than just organized trail runs. Summiteers attended clinics and learned off-road and vehicle skills from renowned instructors. Vendors meet with participants at their booths and on the trails, and evening social activities including sponsored dinners which give people a chance to mingle and have fun. Pre-registration is required - More information & Registration Here. August 9th-12th: Cruiser Outfitters is proud to be a sponsor of the 10th annual ExpeditionUtah.com 'Relic Run & Retro Ramble 2018' Event. The Retro Ramble, like its older brother Relic Run, are vehicle-assisted overland expedition organized as a throwback to the older days of motorized back country travel. Participants in the Relic Run & Retro Ramble are required to operate in the spirit of 4x4 exploration in the 70's & 80’s. Only 1989 & older vehicles, only 1989 and older camping gear, and only 1989 and older route finding. While this isn't a Land Cruiser specific event we are hoping to see a great collection of Cruisers amongst the attendees. Pre-application & registration is required, please visit the RelicRun.com website for further information, route details and a registration. August 17th: Join us Friday evening August 17th for the Annual Cruiser Outfitters Customer Show-Off & BBQ from 5-10pm. Brats, hot-dogs, chips & drinks will be served starting at 6pm and prizes will be awarded to winners of the "Show-Off". Show-Off open to all model Toyota 4x4's however contests will be aimed at the Land Cruisers. Even if you don't feel like cleaning your rig up for the day, bring it anyway or at least stop by and see some of the other vehicles on display and munch down a dog or two. This year we will be back at Flat Iron Mesa Park. From the intersection of 8600 South and 1300 East, proceed eastbound on 8600 South past 1700 East. The entrance to the park is located on the north side of the street. For the upper level pavilion, follow the drive up the hill. The pavilion is on the west side of the roadway and the parking lot is on the east side. We won't be hard to find, look for all the Land Cruisers! As with all customer runs, this is a family friendly event with an excellent park to enjoy, please observe an obey all park rules (pets must be on leashes only and no alcoholic beverages). Award will include: "Most miles in a Land Cruiser", "Rustiest Relic", "Crowd Favorite", "Never Gets Washed", etc. If you would like to bring a side dish or dessert to share with the group, please do, otherwise simply show up and have a great time! September 29th: Our September event is some good old fashioned hard work, simply put. We will be joining the ExpeditionUtah.com group for their annual National Public Lands Day service project event in American Fork Canyon. We will be working with the Forest Service to maintain and improve the Miller Hill 4x4 Trail which has been adopted by ExpeditionUtah. Please visit the ExpeditionUtah forum for more information on the event. There is no group size limit for this event but please RSVP so we know who to expect. December TBA: Winter Solstice "Freeze Your Tail Off 10" Overnighter - We will be joining members from ExpeditionUtah on a return trip to the Lucin Sun Tunnels to celebrate the Winter Solstice. We'll be leaving from the Golden Spike National Historic Site on TBA at 12:00PM. If you would like to tour the GSNHS before our departure, please check with the GSNHS staff for tour schedules. From there we will traverse the Transcontinental Rail Road (TCRR) to to Lucin, camping at the Tunnels that evening. We will wake up early in the morning to watch the sunrise through the tunnels. This years event lands within several days of the official Winter Solstice so assuming we have clear skies it should make for some neat viewing. For those arriving later in the evening, we'll be easy to spot at our camp site near the Sun Tunnels. Following the Solstice celebrations we will travel back towards SLC via Wendover and Interstate 80 on Sunday morning/afternoon. Trail Difficulty: 3/10 though snow & mud can make some sections downright brutal. Please be sure to have a full-size spare tire as the TCRR is along the old rail road grade and tire punctures are common. Keep checking back as details will continue to be updated. There is no group size limit for this event but please RSVP confirmations only (info@cruiseroutfitters.com) so we know who to expect. Expect cold weather camping and freezing temps overnight and through the morning, please pack accordingly. We ask that everyone bring two bundles of firewood to keep us warm and cozy around the campfire. CB Channel 20 & 2M 146.460mhz. GPS Coordinate of Sun Tunnels: N 41.30 W 113.86. Cruiser Outfitters customer appreciation events and runs are family friendly and are no cost unless otherwise indicated. Events are open to all customers of Cruiser Outfitters. We respect all laws and land use restrictions and require that all attendees maintain the same respect for our public lands and operate in a Tread Lightly manner. All run and event dates and details subject to change. We reserve the right to refuse participation due to poor behavior, unsafe conduct, etc. Please be familiar with Trail Difficulty Ratings and ensure your vehicle is safe and reliable to drive on these events. Please check back on a regular basis for updates, we will continue to expand the trip details as each event is planned.